WCBD Reporter Temple Ricke was sent out to cover the story of a missing boater. 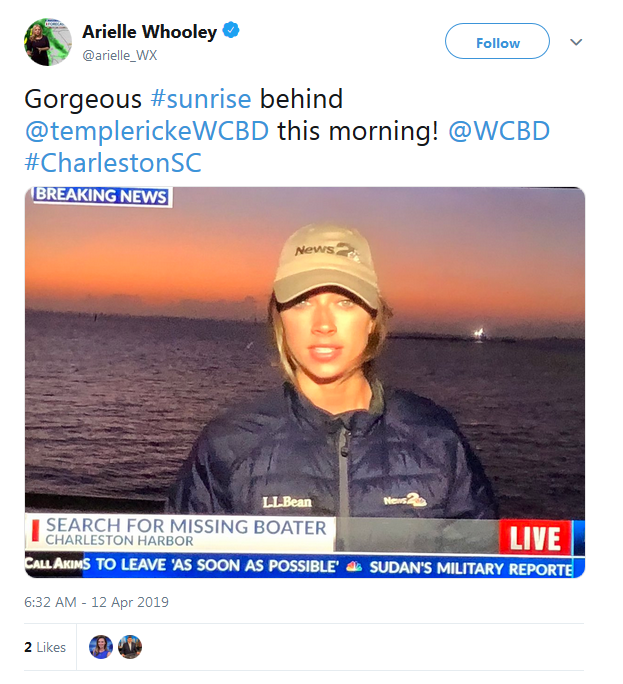 WCBD Weather Anchor Arielle Whooley ignored the fact that there was a missing boater and decided to comment on how pretty the sunrise was behind Ricke. I’m sorry, but I sure the family of the missing boater, really did not give a crap how nice the sunrise was? Can You Put the Phone down?